Meet season in ABoards colours! We have some new hoodies in cheerful colors to warm you up on coast. 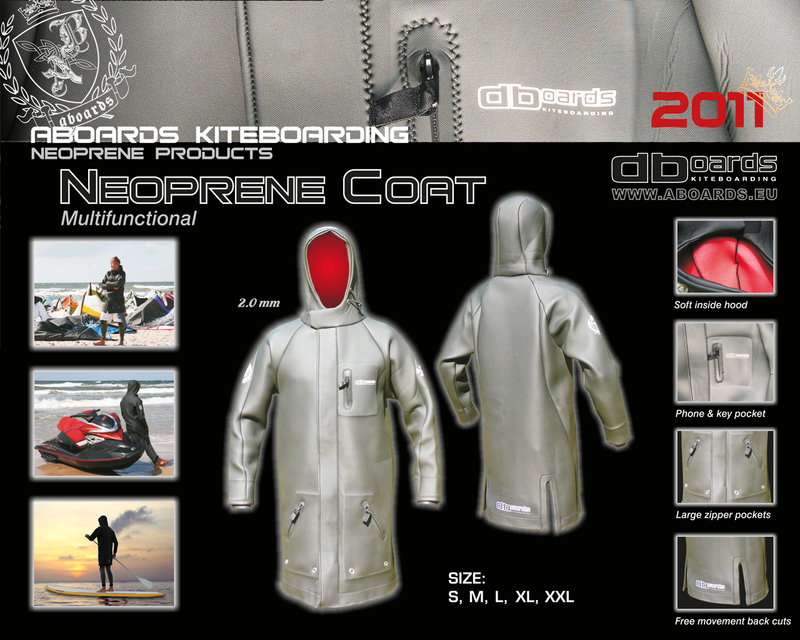 We are glad to introduce new products to ABoards Kiteboarding extending neoprene product line. 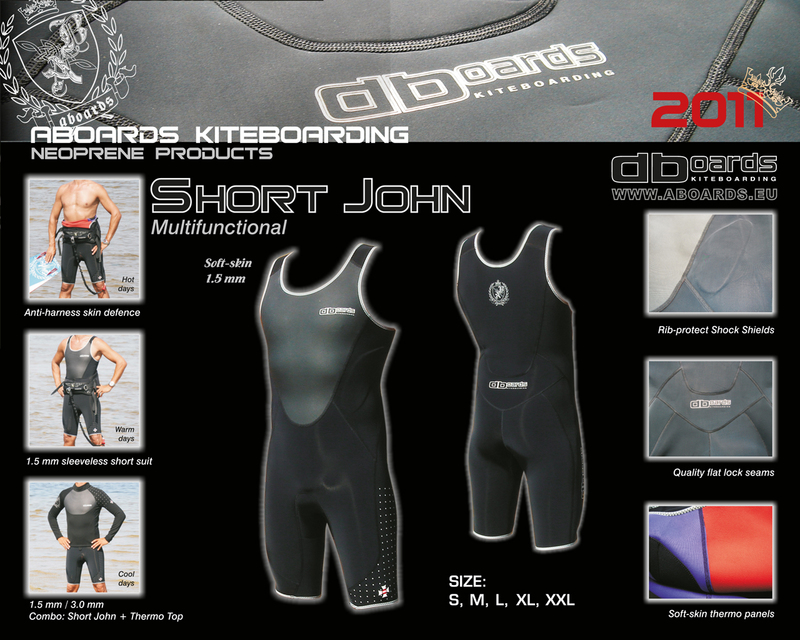 ABoards Kiteboarding has launched Overknee wetsuit 4/3, Short John and Neoprene coat. 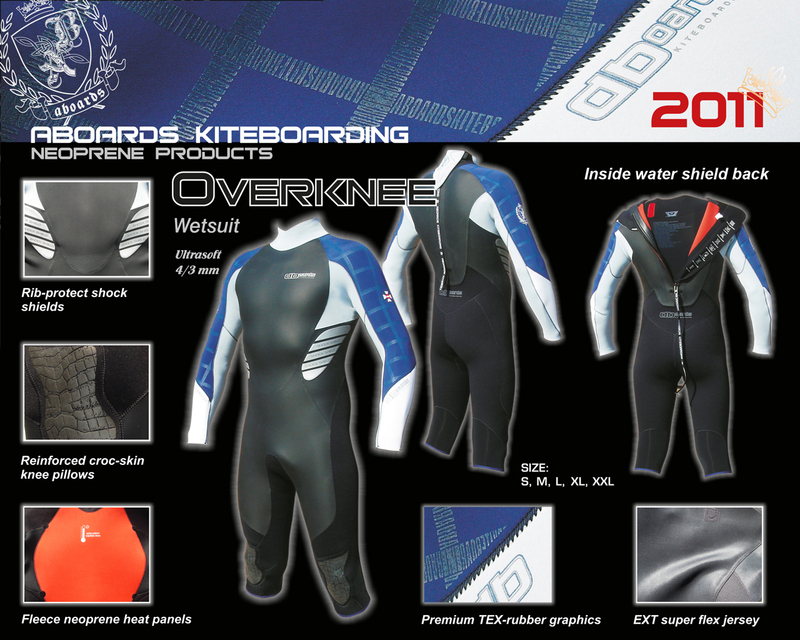 -Overknee wetsuit 4/3mm – an ideal suit for summer season kiting with ever changing weather conditions. Long arms in combination with water shield back on inside avoids water penetration through neck collar or zipper and ensures heat preservation in all of your upper body and vital organs. Shortened overknee legs provide opportunity for temperature exchange in lower extremities and also eradicates all issues with water being splashed up along ankles inside the wetsuit. -Short John 1.5mm – multifunctional summer suit that can be used just for protecting skin under harness from abrasion on Hot days, can be used as sleeveless suit on warm days, and in combo with thermo top as a 1.5+3mm combo for cooler summer days. Easy to put on, take off and comfy to wear. -Neoprene coat with hood 2.0mm – for various applications – as wind and humidity shield while standing on beach between sessions, as a coat for active leisure on water be it jet-ski, stand-up paddle on anything else. Neoprene coat is made form high quality, stretchy and fast-drying neoprene to ensure that the coat does not accumulate moisture in humid weather conditions and maintains light weight. ABoards wetsuit resembles new generation of warm and super stretchy suits for kitesurfers, windsurfers, surfers, wakeboarders and other fans of watersports. Wetsuits are made of multiple high grade neoprene panels in a technologically advanced process to closely follow the body anatomy to ensure maximum comfort and minimal muscle stress during extensive physical work-out. Close fit to the body shape together with double neck collar inside and special shape of arm and leg holes ensure minimal water penetration inside the wetsuit even at extreme conditions. Special drainage holes in the lower suit area quickly remove any water penetrated. Usage of high grade Termotex and SCX neoprene in combination with non-porous, reinforced and stretchy OUTSIDE materials guarantee low water absorption, resulting in quick dry properties during and after riding. Anti-soaking characteristics mean the light weight of the wetsuit even when wet. Outside coating of neoprene is reinforced to make it stronger and more durable and avoid damaging of the suit from contact with harness, kite, wake or surf board and other hard or sharp objects. Warm, soft and flexy materials are used for INSIDE jersey at contact with the body to provide comfort and avoid unpleasant feeling or rubbing of skin during riding. Special Towel-like brushed like sheets in combination with fleece like panels avoid sticking of inside fabrics to the body and ensures skin breathing and warm feeling at wide range of temperatures. For protection of rider against crashes special rib-protect shock shields at sides, reinforced and elastic croc-skin knee pillows and shin protect panels are installed. Sizes: 46/XS, 48S, 50M, 52L, 54XL, 56XXL.